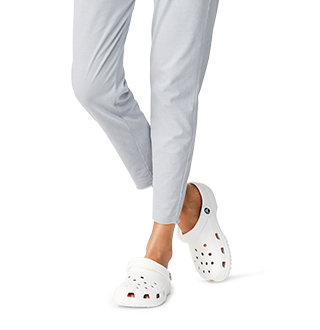 Now kids can enjoy classic Crocs comfort — even on the rainiest days. 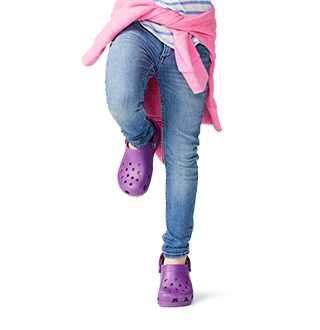 Our kids’ rain boot is available in bright colors with a waterproof build that keeps puddle-jumping feet cozy and dry. 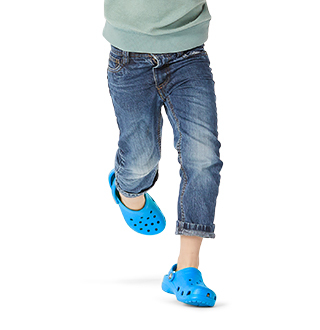 Plus, oversized handles make them easy for kids to put on and take off. 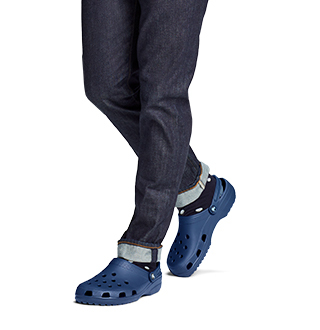 "This is the second pair I have bought. My granddaughter out grew the first pair after 1 1/2 years. They are still in great shape, I plan on saving them for the next grand child. I definitely recommend these boots. Easy in and off."